Whenever Im feeling very lazy to get up in the morning I prefer easy peasy stir fry to pack lunch :)I call this recipe as bachelors recipe..You just need to grate the carrot thats all! Carrots are root vegetables rich in anti oxidents. Vitamin A vitamin C potassium iron copper are the other things present in it.I love to drink carrot juice very much .It is rich in beeta carotene which is converetd in to vit A in the liver.Carrot is known for its anti aging property too. I believe that it will help to get a glowing skin too. I have my food processor that is making my job very easy .You may prepare the same recipe without coconut also. Heat a pan with oil temper all the ingredients listed under to "temper"
Close the pan and keep the stove in simmer mode. 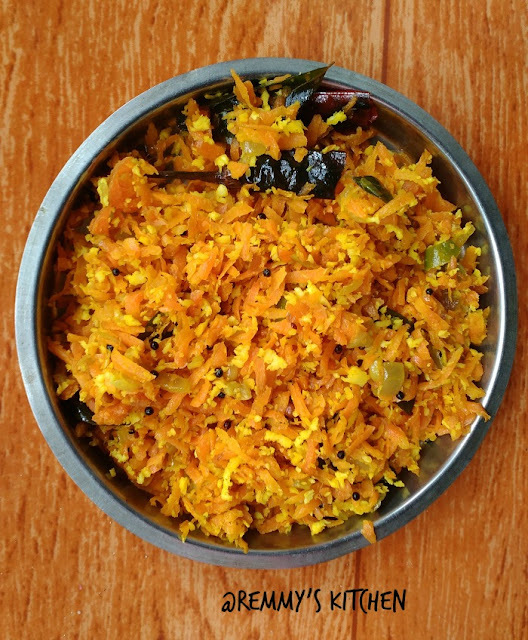 Wait for five minutes and add grated coconut.Mix it well. Keep the pan open and stir it well. 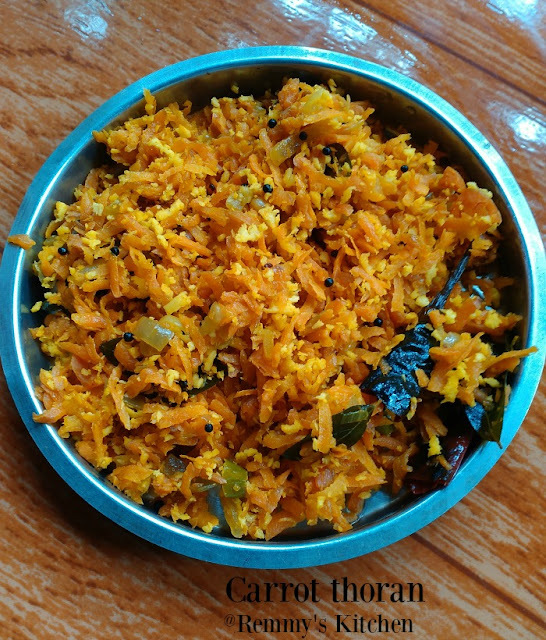 Easy peasy carrot stir fry/ thoran is ready to serve..
Made this a couple of times, indeed, such a pleasurable side dish. healthy and tasty carrot fry.. I am hosting "My signature dish" event in my blog... Please participate and send in your entry to the event..